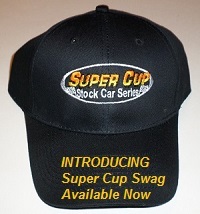 Mount Joy, Pennsylvania (February 16, 2017) – Three drivers concluded the 2016 Super Cup Stock Car Series with their first ever top 10 points finish. With a few months behind them to reflect on their results, each now have their sights set to learn from and improve toward 2017. 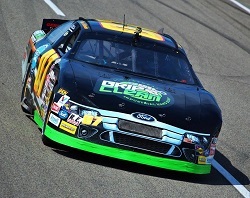 Trent Gossar’s 2016 season saw some career highs as well as some race weekend lows that took him out of contention for the overall championship. 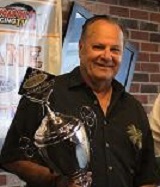 Best finishes of third at Columbus Motor Speedway and second at Lonesome Pine Raceway garnered the Markleville, Indiana driver the rookie of the year award. The Markleville, Indiana 23-year-old drives the No. 71 Gossar’s Towing Chevrolet for Don Gnat. The successful owner in the series for multiple years with various drivers has upgraded equipment and expanded his operation over the offseason, which gives Gossar added confidence going into the new year. After coming close on a couple occasions in 2016, another item on the wish list is a race victory. Nevertheless, Gossar knows from his experience prior to SCSCS and the tough competition in the series that it could be a difficult task. 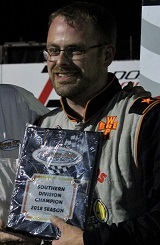 Jason Schue completed his first full season with a seventh place finish in points. The Littlestown, Pennsylvania racer is already prepared to make another go of it this year after keeping his No. 3 Farmer’s Union Co-Op Chevrolet in one piece most of the season. The 2016 sportsman of the year award recipient has passed some of the time during the winter months pitching in with a former SCSCS championship team. Peck Motorsports and 2013 champion Todd Peck will be making their second Daytona International Speedway start in the NASCAR Camping World Truck Series this month. While most of the work involved varies from what takes place in the SCSCS garage, Schue feels that some of it helps him stay fresh away from the track and hopes it translates to improving on a best career seventh place finish at Columbus and maybe a couple top five finishes. 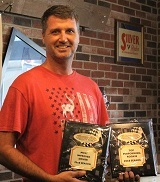 Brian Kaltreider rounded out the top 10 in the final standings after a rather up and down year. 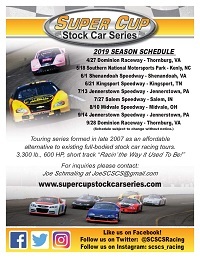 It all started with the season opening event at Midvale Speedway, which was rescheduled due to rain from May to the day after an ARCA race with the same car at Pocono Raceway in early June. 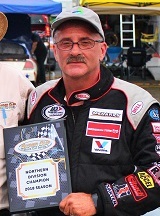 Being his first year back on short tracks after many spent on superspeedways, the Orangeville, Pennsylvania driver knows that there were several lessons learned in 2016. After initial visits to most of the tracks, Kaltreider looks forward to returning with added notes and feedback. 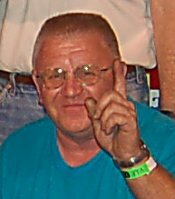 A ninth place finish at Lonesome Pine in his No. 07 Grip Clean Ford gives the team goals to strive for in 2017. Even on the bad days, Kaltreider remained impressed with the hospitality in which the series as well as tracks offered.